My crack fix has been taken care of for another year. I have held the newest installment in The Black Dagger Brotherhood series. 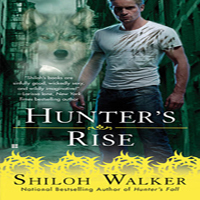 I have pet the cover and sniffed the pages of the newest installment in The Black Dagger Brotherhood. 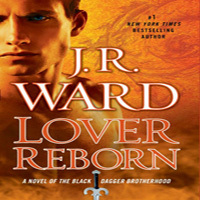 I have read the newest installment in The Black Dagger Brotherhood series. Did I enjoy the newest installment in The Black Dagger Brotherhood? Well…sort of. Mostly…kind of. Lover Unleashed, book nine in JR Ward’s hugely popular and highly addictive series, was supposed to be Payne and Manny’s book. And I suppose in many ways it is. It is the story of how they two meet and fall in love and end up HEA. But there was so much more in this book that it’s hard to simply call it “Payne and Manny’s Book”. There was lots of Vishous with Jane and Butch. And then there was a bunch of other little bits. I have to say that I didn’t quite understand why they were all there really, but they were. I have to assume that JR is using this book as a ‘set up’ book. I’m thinking she’s placing all these cards to get us ready for the next books in the series, because she’s too talented of a writer to simply shove all these ‘almost’ random bits in our face and just leave them there, going nowhere. One example of this is the story line with Jose de la Cruz and his new partner Veck. I have always liked Jose. And his new partner was pretty cool. But there was a lot of info introduced that really went nowhere…and hardly went with the main storyline either. That leaves me to assume that we’re just getting started with that story. We didn’t see a lot of Qhuinn, but what was there, I liked. Blay and John weren’t the only ones who were starting to get a little annoyed with where he was headed and I’m happy with where his storyline seems to be going. And that little scene with Blay and Saxton…I liked it a lot. That is the one thing that makes me glum about these books. Each Brother gets his own book. We grow super attached to him while reading his story. We laugh with him, we cry for him. Then, the book ends and we fall even more in love with him. Then the next books comes and…he frickin’ vanishes! I understand that JR can’t focus on all the guys in every book. Geez….these books would be 1,324 pages long! But I wish they at least spoke! We glanced at Z and Phury…but they didn’t utter a single word in this entire book. We got a little of Rhage, but not nearly enough. He’s the comic relief! We need him! And I worry that this will get worst and worst as more books come out and more new characters are introduced. I liked how JR brought focus back to Wrath and Beth in Lover Mine and how she brought focus back to V and Jane in this one. But a little glimpse at the other boys too would have made me super happy. Because I love these boys and I want to say hi to them every year. I must say that I liked how the lesser weren’t as prominent in Lover Unleashed. There was a new ‘villain’ though. Some vampire warrior misfits from the old world that have come over to America. I can’t really say I feel much for Xcor, their leader. I don’t get his angle. And after what he finds out near the end of this book, do his plans still hold? That’s what I mean…many slightly untidy endings. I am, once again, assuming that we’ll get more details in the next book. One thing that JR excels at is the romantic pinnacle of her stories. There’s always one or two lines spoken by the hero that makes you just *swoon*. In Lover Unleashed, Vishous dealt out some doozies. I’m talking “OMG I think my heart just melted and oozed out of my belly button” beauties. Completely *sigh* worthy lines! Oh V… V’s parts were really well written and I’m glad to finally see him where he is now. It may seem like I didn’t like this book, and looking back at this review I can see where you would get that idea, but that’s not exactly the case. I did enjoy it while I was reading it, and I will re-read it again one day because I re-read my BDB books somewhat regularly. I just found it was missing the passion that was in some of the previous books. But it wasn’t terrible. Please don’t think that. It’s setting us up for something. Hopefully something big that we’ll see in the next book. What that is though, we have no clue because nothing has been said about the next book yet. We don’t know who the H/h will be nor when it’s coming out. So we must be content with what he got in Lover Unleashed until she buzz starts up about book ten and we all start panting with anticipation…again. I’m just curious here…Do you guys have any speculations as to who the next hero will be? “Even as he stretched, there was no stiffness…or creaks or pops. It was as if he’d been on vacation for a month, getting massages and doing yoga in front of the ocean. Not that’s he’d ever done the Downward Dog. 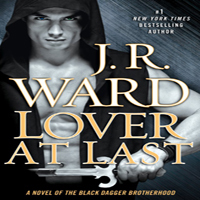 Share the post "Review: Lover Unleashed by JR Ward (The Black Dagger Brotherhood #9)"
I am going all meh. I do not like how she has other couples taking over a book, she should write about one and then we would see all the rest. Patti – It’s not bad. Really, it’s not. It just wasn’t as great as some of the others. I can’t wait to read you review though! I agree with you. I love me some brothers and it was wonderful to get a chance to spend some time with them. But it wasn’t JR’s best work. It just didn’t have the passion and action that is normally in her books. Will I give her up? NEVER! Blackwater Mama – I agree. I won’t ever give up on the BDB series no matter what. Well, maybe if JR starts having Z and Wrath fooling around…I think that may be a little ‘off’. But other than that, I’m sticking to it! Love these boys!!! Deanna – Read Dark Lover for goodness sake! lol I am dying to know what you think of it!!! Smash Attack – Oh no! Does your library get them? Or you can borrow it? If you like V and Butch, you’ll enjoy theirs story in this book.